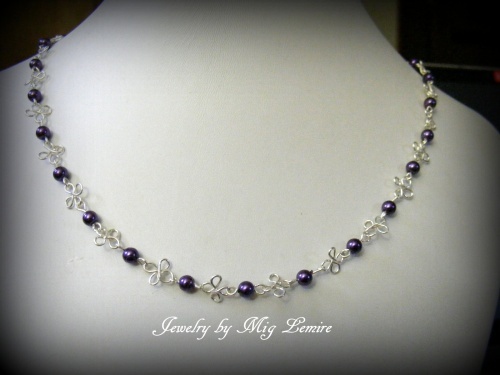 This delicate little necklace has deep purple pearls accented with clover like links. Comes with matching earrings. Piece measures 17" long.